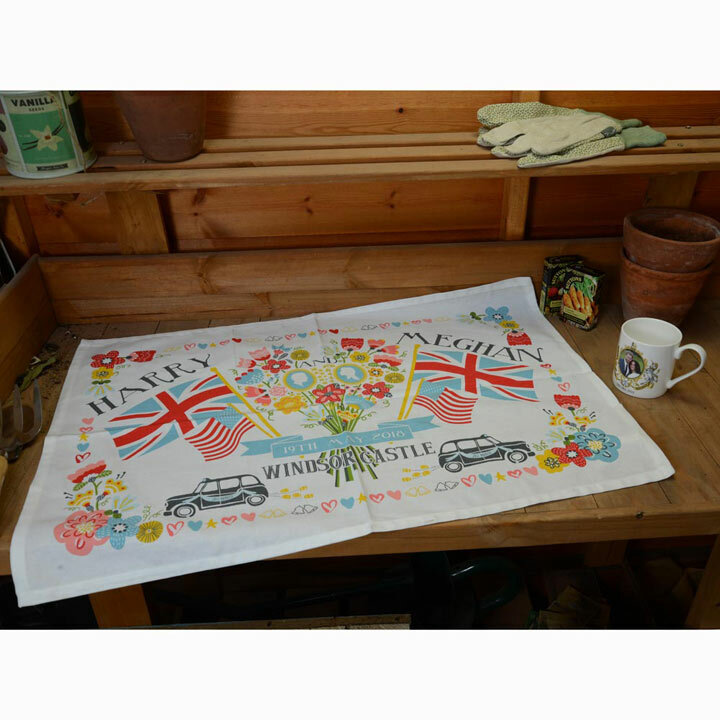 Celebrate the wedding of the year with this bright and exciting contemporary design with colourful flowers, the Union Jack and Stars & Stripes flags, London taxis and the date of the Royal Wedding - 19th May 2018. 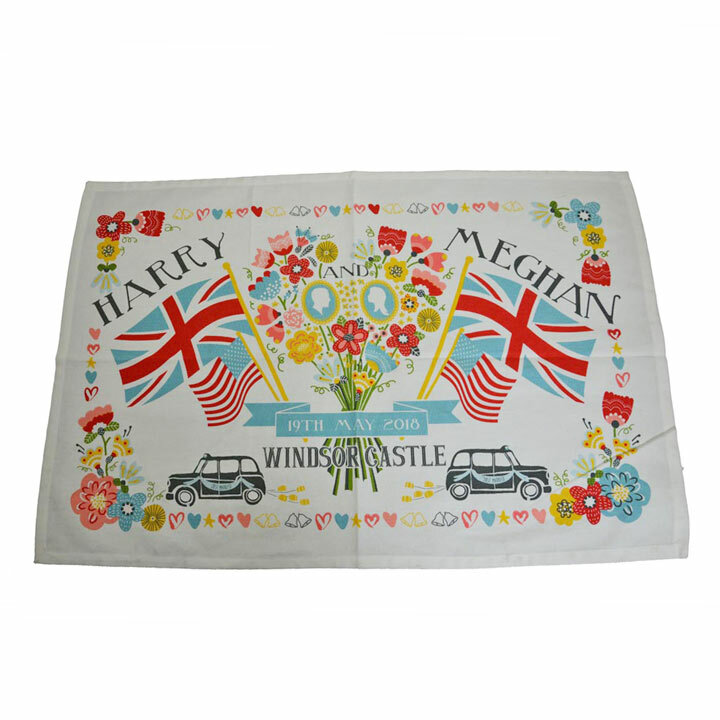 As a nation we LOVE Royal Weddings and this tea towel is the perfect opportunity to mark the wonderful occasion of Harry and Meghan's marriage at midday on Saturday 19th May at St George's Chapel in Windsor Castle. 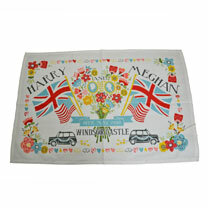 Measures 48cm x 74cm Made from 100% cotton. Machine washable.